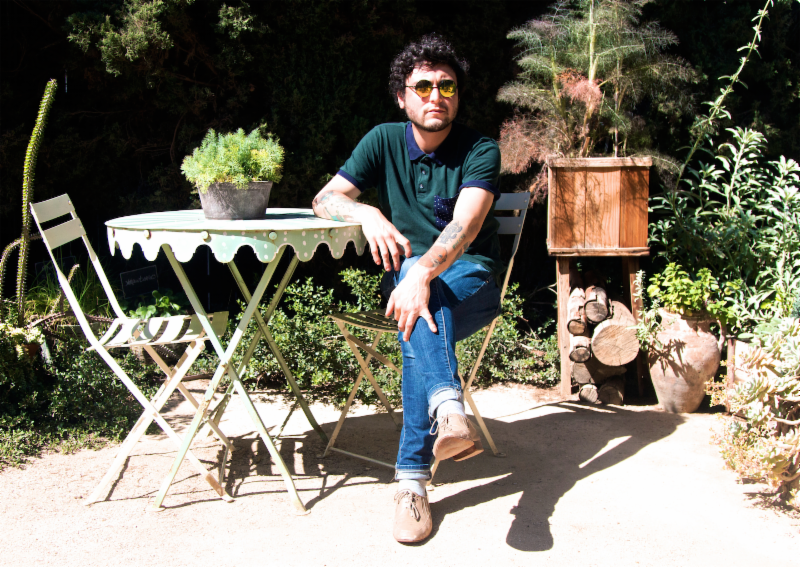 Rudy De Anda is set to release his new album, Delay, Cadaver of a Day on June 24 via Porch Party Records. Check out "Hunger Cloud" from the upcoming album below. Delay, Cadaver of a Day was recorded at Jazz Cats Studios (Crystal Antlers, Day Wave, Hanni El Khatib) and is a brutally honest, gritty, and loud representation of Rudy De Anda's auditory range. It weaves sweeping melodicism with a dynamic interplay of soul and punk-rock and showcases the darker side of the Californian musician. Inspired by The Velvet Underground, dissonance, and shoe-gaze, Delay, Cadaver of a Day conjures up imagery of Fellini stumbling upon the city of Long Beach, and goes from optimism to mystery almost immediately. "It's like a black and white film shot in present time," offers De Anda about the album. "It's the soundtrack to a Criterion Collection piece based in LA with more surrealistic notes, feelings, and vibes." You can pick up Delay, Cadaver of a Day HERE.